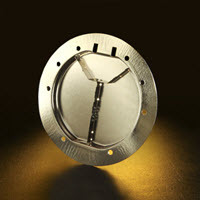 At Pacific Metal Stampings we specialize in inconel 600 metal stamped parts. Inconel 600, also referred to as alloy 600, is a nickel chromium alloy used in applications that require high temperature resistance. Common industries we metal fabricate inconel 600 include aerospace, chemical, and heat treating industries. Our reputation is rooted in client-focused service and product quality, and our metal specialists pursue continual improvement through process innovation and training.